2017 has been a relatively busy year for the SSO. We often only play one concert a year, but this year there have been two performances already. We’ve also had a change of personnel, with Dorothea moving on to pastures new, and being replaced on baritone saxophone by Pauline, as well as a change of rehearsal venue. There were a couple of premieres in our Buxton programme: this was a first public performance for both Clouds and our arrangement of Forgotten Dreams. We gave a more unusual first performance in May though, at Helen’s 50th birthday party. Two SSO members (Helen and David) are both also members of the Infernal Twangers ukulele group, and Helen decided that a joint performance by both groups was an essential part of her birthday celebrations. David duly obliged with an arrangement of ‘It’s Tight Like That’ which is probably unique in its instrumentation (at least since the the song was written in the 1920s), and was definitely a lot of fun. Now for a few weeks off, before we start planning our next campaign! We were back at Buxton again last night, with more new tunes to add to the well-tried favourites. As ever the Festival Fringe organisation was spot on, and the good folk at the Buxton Methodist Church (along with band partners helping with tickets and refreshments) did us proud. There was a good and enthusiastic audience, and we garnered another complimentary review to add to our collection. A thoroughly enjoyable and worthwhile evening out! Well I know it’s been a busy old year, but honestly, where does the time go……? I hadn’t even got around to putting the programme for our concert at last year’s Buxton Fringe* up here, and already it’s time to tell everyone about the next one. 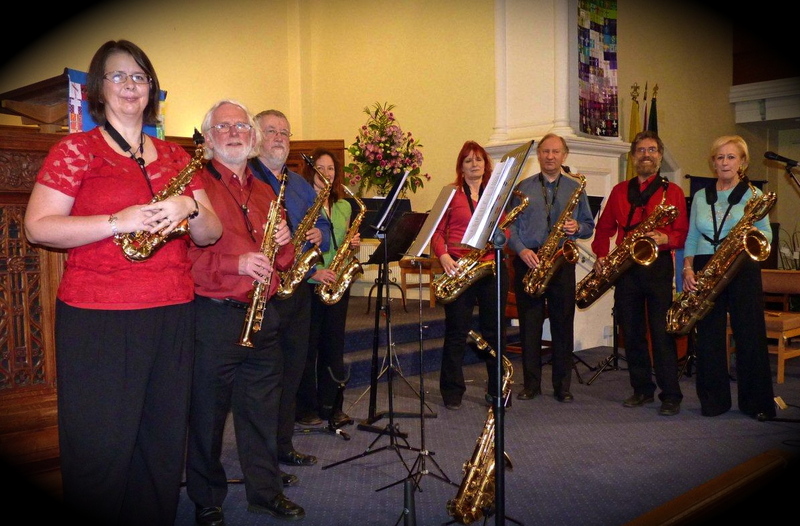 The Sovereign Saxophone Octet will be returning to our regular spot in the Buxton Methodist Church at 8 p.m. on Sunday 19th July, 2015. 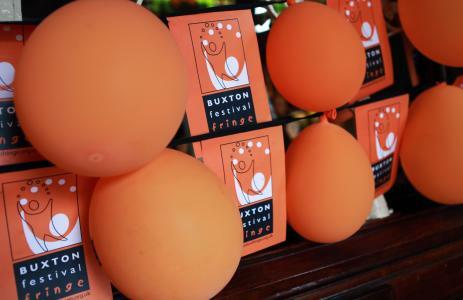 Full address and ticket information is available via the Buxton Fringe 2015 website. (Scroll down to July 19th to find us.) We’ll be introducing lots of new tunes and arrangements this year, as well as a few old favourites, so put the date in your diary now. We look forward to seeing lots of you there! After a flurry of activity at the end of 2012 and the start of last year, the SSO went a bit quiet concert-wise, largely due to family and work commitments and other musical activities. But we don’t go quiet for long, and we’re happy to say that normal service will be resumed this summer with our now traditional visit to the Buxton Festival Fringe in July. On Saturday July 19th the octet will be returning to the Buxton Methodist Church, which we’ve enjoyed playing at in the past. 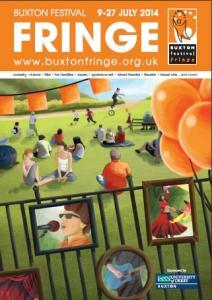 Full venue details can be found on on the Buxton Festival Fringe calendar. Tickets will be bookable in advance from early June via the Buxton Opera House online booking service, by phone from the Opera House Box Office on 0845 127 2190, or at the door on the night. 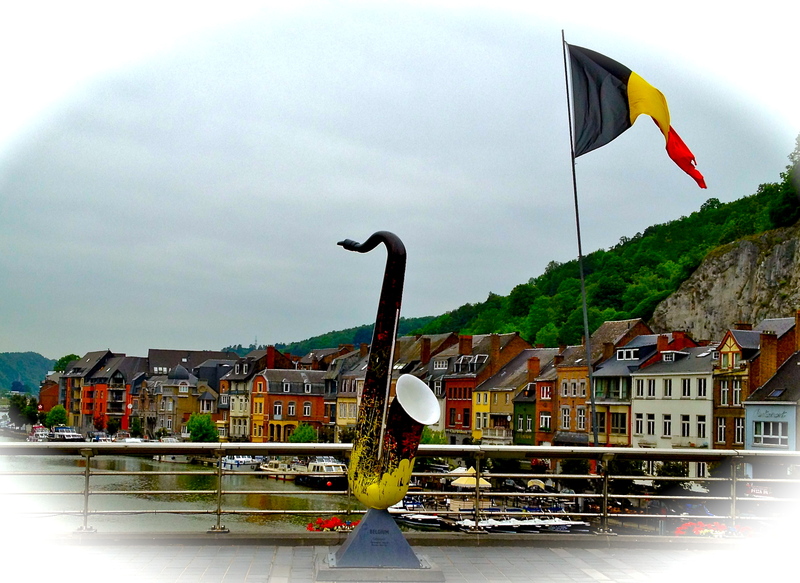 2014 is a significant year for saxophonists and saxophone fans everywhere, as it is the 200th anniversary of the birth of the instrument’s inventor, Adolphe Sax, so we’re planning to include some snippets of Sax-related gossip and history to enliven the proceedings, along with our usual eclectic mixture of music from many eras, arranged for eight saxophones. We hope to see you in Buxton in July! St. Mary’s Church, Menai Bridge is an inverse TARDIS; it looks quite large from the outside, but inside it’s positively cosy – and especially so once populated by 24 saxophonists, a conductor and an enthusiastic audience who filled all the nooks and crannies that were left. After an afternoon rehearsal and an excellent (and very welcome) meal across the road at the Anglesey Arms, we rattled the rafters in various combinations. It was a mighty and entertaining noise! We now have more details about our next concert, where we’ll be the guests of the North Wales Saxophone Choir at a joint concert on the Island of Anglesey, just across the Menai Straits from Snowdonia. The NCSO and SSO will play both separately and together. Should be a night to remember for saxophiles! 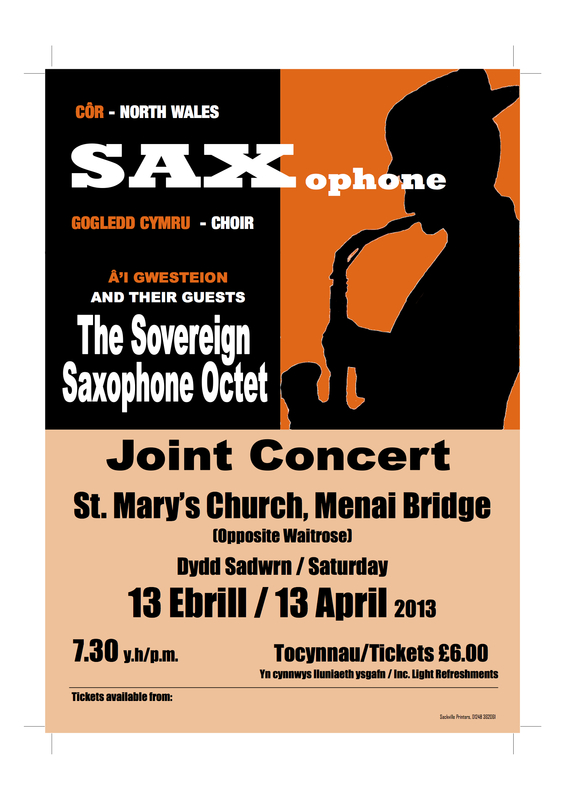 The date of the concert is Saturday 13th April 2013, starting at 7:30 p.m.
Tickets will cost £6.00 each, which includes the cost of light refreshments. This was certainly an evening that lived up to its title! 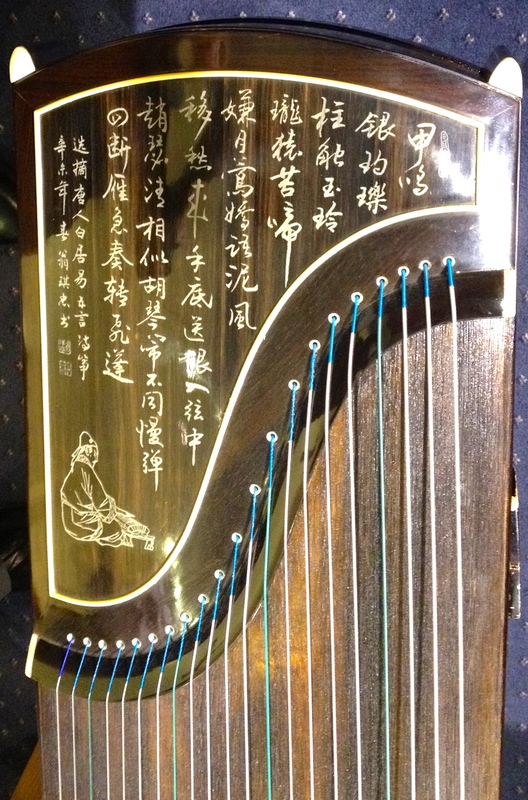 I’ve never heard a Chinese piano (or guzheng) played live to this standard before, and it was something of a revelation. 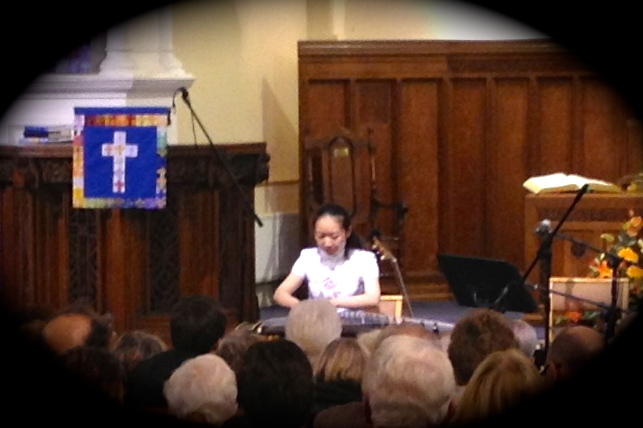 Alice Wang is currently studying accountancy in Manchester, but has been learning the instrument from a young age and brought hers with her when she came to the UK; no mean feat in itself as it is both bulky and delicately beautiful. Alice explained the origin and meaning of each piece she played, and the audience certainly seemed to appreciate the complex and intricate music. 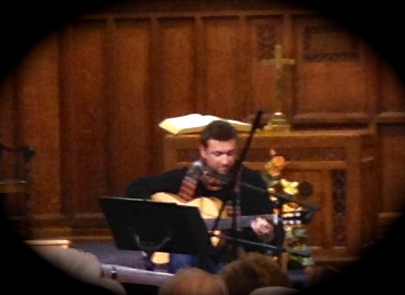 Luciano Gerber then expertly played and sang us a selection of contemporary Brazilian music. His explanations of the Portuguese lyrics and the different styles of music from various corners of his vast homeland certainly added to the enjoyment of the evening. All in all, a very successful and enjoyable evening, which raised somewhere in the region of £1000 for WaterAid, End Polio Now and local Rotary Club charities. A Unique Evening of International Music! We’re currently preparing for our next concert, which is at Bramhall Methodist Church on Saturday, 24th November 2012. It’s a fund-raising concert in aid of the charities WaterAid and End Polio Now. The concert has been organised by the local Rotary Club in memory of the late Bob Batty, who was a well-respected member of the Bramhall community. It will definitely be a unique and fascinating mix of styles and sounds, and all performed in aid of some very good causes. Please come along if you can! The concert will start at 7:30 p.m., and the admission price will be £8, including refreshments. Tickets are available from Simply Books, the Methodist Church Hall office in Bramhall, or any local rotarian.